Description: ctr is defined as a self-invoking Function that provides syntactical abstraction over CSS. Description: A ctr instance creates valid CSS for the <#selector> from its second Object argument whose data is naked. Avoid using Operators ! ~ + * etc. 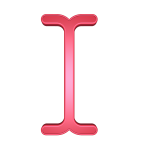 Description: A single-line, two slashes //, Stylus comment can be used in a ctr instance. Description: Properties can have multiple values. Description: Multiple values separated by commas can be used although the value must be in a String format. Description: Stylus variables can be used in a ctr instance. Description: All relevant Stylus built-in functions can be used in a ctr instance. Description: Stylus iteration can be used with ctr instances.